It’s been more than a decade since I started teaching yoga, and so embarked on a yoga teaching career. That career has included teaching group classes, workshops, retreats, presenting at festivals, writing yoga books, delivering corporate seminars, and publishing this online yoga magazine. I began as a sole trader and taught yoga on the side while working other jobs. In April 2011, after becoming a single parent, I started my own company and doubled-down on my desire to make a living from teaching yoga. 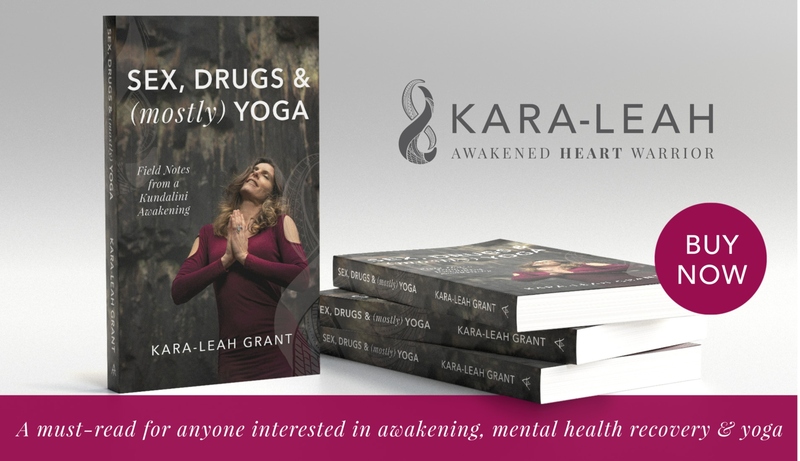 There have been huge successes along the way – like publishing a book that’s sold 1000s of copies and helped thousands of people develop a home yoga practice, presenting at three Wanderlust multi-day festivals and leading international retreats. And I’ve made some big mistakes that have cost me thousands of dollars – like failing to use written contracts with collaborators, throwing money at ideas fuelled by my unconscious needs and mismanaging cash flow. Those mistakes have been tempered by my strengths – a high level of financial literacy, adeptness at leveraging business tools and a talent for vision and connection. And my deep love and passion for Yoga. I’ve learned that succeeding as a yoga teacher requires a multi-pronged approach. Yes, you have to be dedicated to your craft as a teacher, but you also have to understand business or work with people who get business, and you’ve got to be willing to fail, learn and grow. Ultimately, your success will depend on WHO you are as a person because being a yoga teacher does not start and end with attending a yoga teacher training and receiving a certificate. Being a successful yoga teacher is made up of multiple elements that will impact your successes and your failures. Because both of those things will happen – you will succeed and you will fail. Get used to that idea and you’re already ahead of the game. Failure can sometimes be the very best thing that happens because it forces you to grow. And out of that growth, your yoga teaching career can reach new heights. What are those elements that impact your yoga teaching career? There’s your relationship to Yoga itself – how you practice, what you practice and where it takes you, plus how you teach, what you teach and where it takes you. There are your relationships to other people in the yoga community – teachers, yoga studios, festival organisers, and of course, students. That, of course, is defined by how you show up and engage with people, which is defined by who you are, including your core beliefs, fears, unresolved traumas (we all have them) and behaviour patterns. Relationships are defined by who you are – your Self. And finally, there’s your relationship to the practicalities of business in all it’s aspects – like marketing, advertising, accounts, taxes, systems and processes. Fall down on any one of these elements – Practice, People & Practicalities – and your ability to navigate a successful yoga teaching career will be compromised. On the flip side, identifying these three aspects of a successful teaching career helps you determine what you excel at and where you need support. Plus acknowledging that who you are informs your career – with all your light AND your shadow – helps you get skilled at using your career for the process of Yoga itself. ‘Cos remember… yoga ain’t nothing more than the liberation of the soul. It’s the identifying, healing and release of samskaras – those core beliefs, fears, traumas, and behaviour patterns which seem to define who you are… until they are released and YOU shine through. And the most valuable assets you can bring to your yoga teaching career is a desire to learn and grow, an ability to witness, reflect and act, all of which is built on a desire to know yoga and know yourself. Self-inquiry is a key process in Yoga, and it’s a key process in rocking your yoga teaching career. Why am I teaching yoga? What kind of yoga teacher do I want to be? What do I most love learning about Yoga? What do I hate learning about Yoga? What are my major behaviour patterns? For example – People pleasing? Perfectionism? Self-Criticism. How willing am I to face and own my shadow? What’s my relationship to being the victim? What’s my relationship to power? How much money do I need to make every week to support myself? What other skills and talents do I have beside teaching Yoga? What are my basic business skills like? What’s my biggest gap in business? All of these things – the practice, people and practicalities – will inform the arc of our yoga teaching career. And if we can get honest about where we sit with it all, we can choose to engage with potential pitfalls and road bumps before they derail us and cost us money. And, we can start to get a sense of the particular blend of strengths and weaknesses that will carve a yoga teaching path just for us. In retrospect, it was obvious that my background in journalism and desire to write books would dovetail with my yoga teaching career. I’m as passionate about writing as I am about yoga, and blending the two of them together has served my career well. 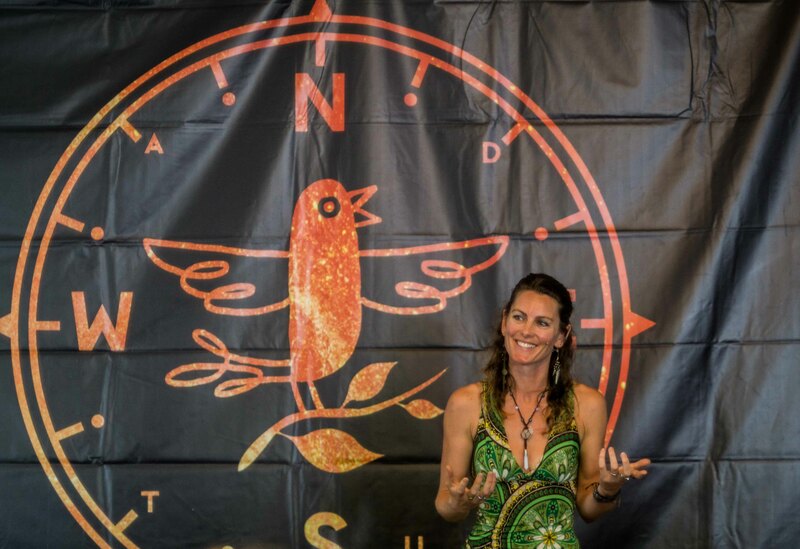 Now, another aspect of my yoga teacher career is opening up, as I step into an organising role for the LoveLake Festival in Taupō, March 8 – 11. I’m in charge of the yoga and meditation line-up, which uses my people skills, and head for practicalities. Plus I get to hold space and shape the yoga experience for the festival goers. It’s an unexpected twist in my unfolding career, and again, one that makes perfect sense given my strengths. If you’d like to explore the strengths and weaknesses in your yoga teacher career, check out Ignite Your Career – my online business mentoring program. Who knows what next step we could uncover for YOU in your career as a yoga teacher. It could be completely unexpected.